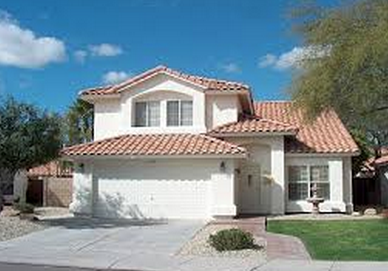 Most houses built in the Phoenix area after the 1970s have stucco. This type of construction is referred to as a "balloon frame", which is made of wood, covered with mesh, and then covered over with a fine plaster called stucco. I'm interested in old photos of Phoenix, and architecture from all eras. And, maybe because of that, people assume that I dislike modern architecture, and stucco. I don't dislike modern architecture, and I don't dislike stucco. I do dislike seeing the integrity of design being damaged by well-meaning people who, for whatever reason, have taken a dislike to it. I'm not a historian, I'm a time-traveler. And that means that when I look at a neighborhood from another era, I want to feel as if I were actually there when the houses were new. When I go to a car show, I want to see the cars as if they were in the dealer's new car showroom. If I've learned anything from my time-traveling, it's that people tend to get tired of what they have seen too much of. I call it the "garage sale syndrome". It's that feeling that you get from seeing the same old stuff you've seen over and over again. And, unfortunately, it makes people want to throw things away, or destroy things. Sometimes when I time-travel to the future I wonder how people 50 years from now will feel about the stucco houses of Phoenix. I hope that they appreciate their design integrity, and don't feel any need to "modernize" them. I wonder if some of these wood & stucco homes will even be standing 50 years from now. Just my opinion, but I wouldn't buy a house unless it was constructed with brick, block, or stone. Hi Paul - sure! This type of construction has been around since the mid-1800s. So, my house is good for at least another 150 years, and by then I may need to paint it again, or something!